If a loved one is in need of nursing home care, and if they don’t have long term care insurance, their assets will be consumed by such care costs at an rate of about $7000.00 a month — until their assets are almost entirely consumed. However, there are several planning techniques which can utilized to help a loved qualified for the nursing home Medicaid program, which will help pay for nursing home care costs, without having to lose everything first. One such technique which can be utilized by the spouse of a Medicaid applicant is a “Solely for the Benefit Of” Trust (”SBO Trust”). A SBO Trust is an unique irrevocable trust that holds marital assets contributed to it solely for the benefit of the community (non-nursing home) spouse of a nursing home Medicaid applicant. Marital assets transferred into a trust “solely for the benefit of” a community spouse do not create a divestment penalty, as other gifts and transfers can. Assets which would normally be considered “countable” and prevent a married applicant from qualifying for Medicaid are considered “unavailable” when transferred into a SBO Trust, thus allowing the person to qualify sooner while retaining more assets for their spouse. The terms of the SBO Trust require the Trustee of the trust to distribute a minimum, annuitized, portion of the trust corpus each year to the community spouse. The trust essentially converts excess “countable assets” into an income stream for the community spouse. If the community spouse dies, any remaining trust assets are distributed to name beneficiaries (i.e. – children, etc). A SBO Trust is especially useful in protecting non-liquid assets such as real property, stocks, and bonds. However, the proceeds of IRA’s and other retirement plans cannot be transferred into an SBO Trust without first cashing the IRA or retirement account that can result in substantial tax consequences. There are several requirements for a valid SBO trust. 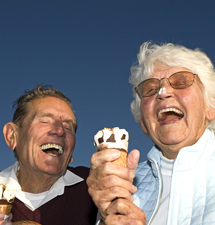 The SBO Trust must be irrevocable, in writing, established and funded by either the applicant or by the community spouse after admission to the nursing home, and provide for the distribution of at least an annuitized portion of the trust corpus to the community spouse each year on an “actuarially sound” basis (within the life expectancy of the community spouse). The trustee must also be someone other than the applicant or community spouse (i.e. – a child, an agent named in a power of attorney, etc). The SBO Trust is an extremely beneficial, Medicaid Planning technique that can, and must, be utilized at the time nursing home care becomes necessary, and only when it is likely that there will not be a recovery of the spouse that is receiving care in the nursing home. Our firm assists single and married clients become eligible for nursing home Medicaid without having to lose all of their assets. When a loved one is in a nursing home, the complex legal, financial, and caregiving issues that arise can be overwhelming. 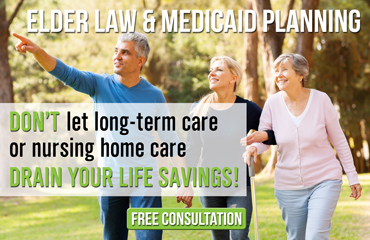 The Medicaid attorneys at The Elder Law Firm PC specialize in helping individuals deal with these complex issues. Please call our office at (616) 940-3370 to schedule a free, no-obligation consultation to find out how we can be of assistance.